I made a video of my installation “Clothes from the Past” after all the visitors left. I walked in each of the rooms displaying my exhibits. The creaking floors had a vague presence of previous lifes. The exhibits were at the 150 year old Dole Mansion near Chicago. 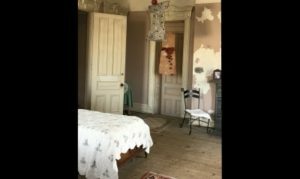 Clothes from the Past Installation was installed at the Dole Mansion in Illinois in March 2017 as part of a solo exhibition series by the Turkish American artist Belgin Yucelen. My exhibition “Words” is an invitation to listen to each other more. This is a movie of the installation and the audio. Spoken words are actually sound waves. To me they carry the weight of the meaning intended for them when they are spoken. 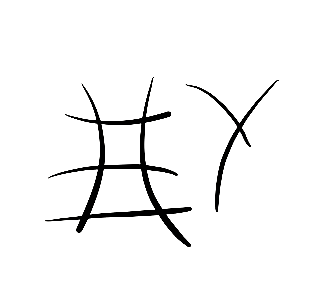 Their meaning however is lost and they become weightless if they are not heard by another person. 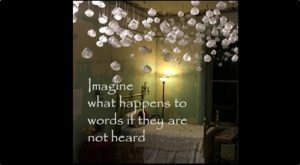 The installation piece I designed which represent floating “words” consist of transparent spheres. About 400 spheres made of transparent sheer fabric are hung from the ceiling. They are the visual representation of the spoken but unheard words. Thousands of words keep flying in the forgotten skies like lost souls. Can you hear them? “Looking Back” is an autobiographical short movie which represents our stories in which we try to create coherent connections among our experiences that are supported by memory. It is created in Boulder and Istanbul and is displayed on the screen installed on a sculpture. 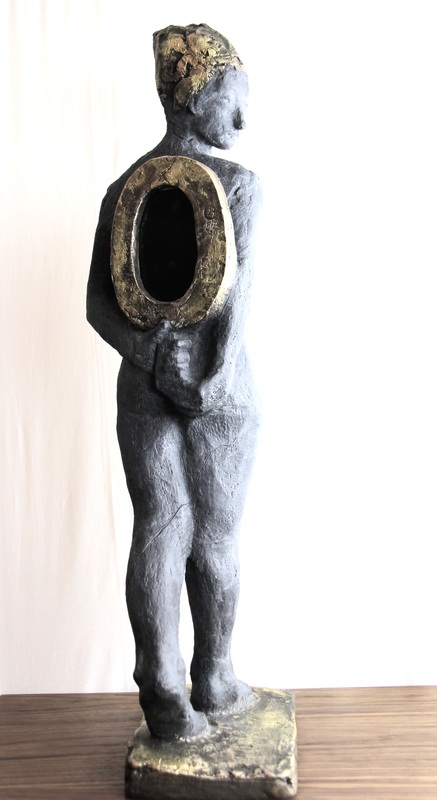 The sculpture is a woman figure looking back. Floating Children is a short movie on my Installation for the Children of Syria. 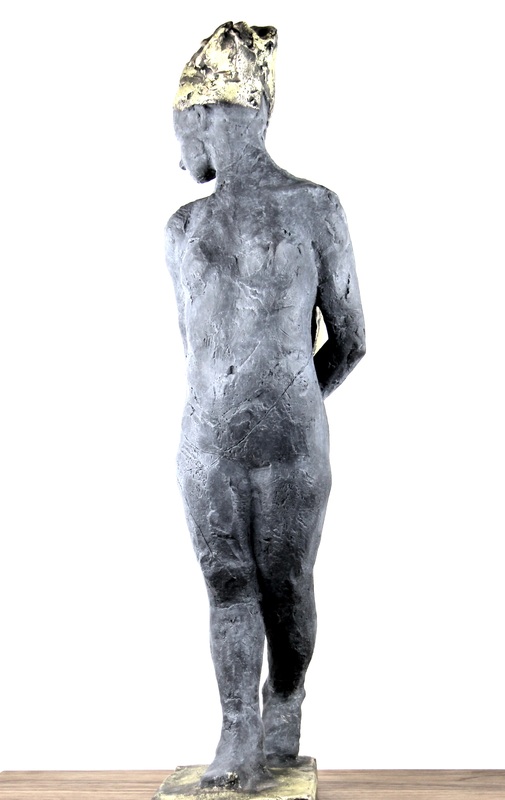 With this installation I intended to display the fragility of children in times of war. I collaborated with photojournalist Brian Rutter from Ireland for this exhibition. 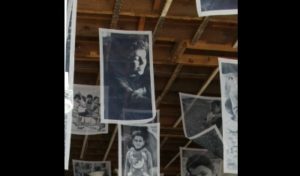 Black and white photographs of Syrian children printed on sheer fabric are hung from the ceiling in a way to seem like they are floating in the wind. I was inspired by a Japanese woodblock from 18th century of a woman whose handkerchief and concealed letters were carried away by a sudden wind. 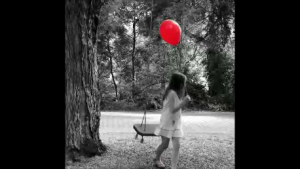 These children can also be carried away and disappear. The transparency emphasizes their fragility. To observe a child’s delicate innocence feels weightless even under the most difficult circumstances. The lightness of the material is to convey this feeling of lightness.